Cascadia Sports Systems provides sports facilities, institutions, and private clients with high-quality racquetball court construction services as well as high-performing, long-lasting building materials and products. 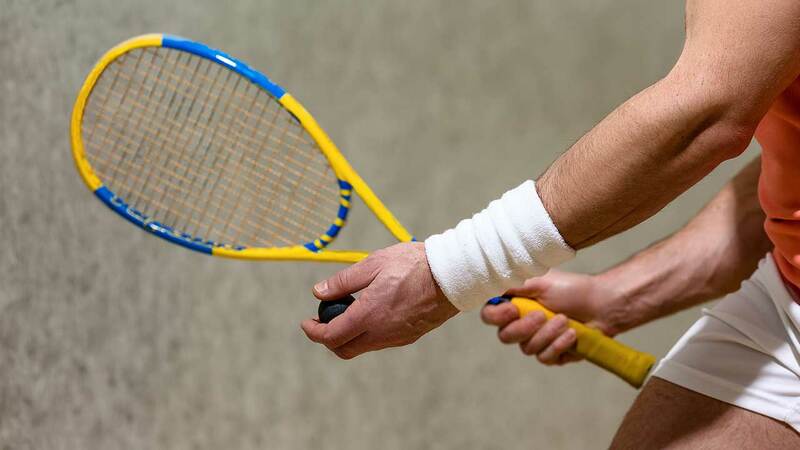 If you want to transform a space into a racquetball court that is fit for professional tournaments, we can help you from the planning phase to the construction process. A standard racquetball court is twenty feet wide, forty feet long, and twenty feet high. The entire surface of the racquetball court is made of wood. One of the essential requirements of the finished wood surface is that it should offer uniformity for ball rebound. At Cascadia Sport Systems, we construct racquetball courts for heavy-duty use with pre-fabricated panels to fit your budget. Our panels are incredibly durable and reliable. We give the playing surface of the board a high-quality finish to ensure the correct ball reaction and to provide the court with aesthetic appeal. If there are racquet or ball marks on the panels, you will be able to clean them quickly with regular cleaning products. When we build a racquetball court, we recommend a hardwood floor system that is developed primarily for athletic activity with a sleeper or plywood subfloor. We seal and finish the floors before painting them with racquetball game lines. Like many of our other clients, you can also request that we paint game lines for other sports. The glass we install meets all building and safety standards as well as manufacturing criteria. The glass doors and back wall systems that we provide can be fabricated to any size. Our glass walls, doors and windows also come standard with game lines and specialty flush hardware. Since we attach the wall panels directly to the framing, the walls and ceilings support themselves. The court frame consists of sturdy galvanized steel. You can also opt for a wooden frame, as long as the structure is entirely straight and without twists. Cascadia Sport Systems also offers a wide range of accessories for racquetball courts, including lighting systems and movable back and side walls. Constructing a high-quality racquetball court can be a valuable investment. We make use of the best quality materials and go the extra mile to ensure that your racquetball court has the most extended lifespan possible. Cascadia Sport Systems also offers a wide variety of high-end sport systems and products, including dasher board systems, hockey glass, goals and nets, rubber flooring, spectator seating, and protective netting. We also have extensive experience in the supply and installation of gymnasium flooring, low “E” ceilings, and in-line skating floors. Our specialty products include scoreboards, basketball backstops, portable staging, and a wide range of repairs and refurbishing services to restore sport systems and products. If you want to build a racquetball court or if you are in need of any of our other services, contact us today to discuss your requirements.